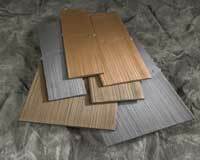 Lamarite Shake Composite Shingles by TAMKO offer homeowners the authentic look of a wood shake roof without the high cost and performance issues. 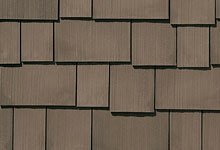 Shake shingles have long been a favorite among homeowners, for the warmth and character their rustic appearance creates. Unfortunately, high maintenance and safety concerns inherent to real wood often make it impractical for those who seek its natural beauty. But now there is a better alternative. 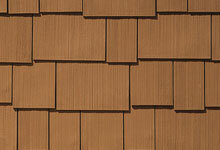 Lamarite Shake Composite Shingles create the beauty of real shake in a product that provides superior performance. 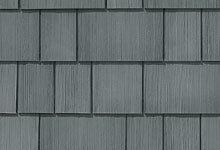 Made from innovative materials that are robust, fire resistant, and enduring, Lamarite shingles make owning the beauty of wood practical for the first time ever. Patent Pending. 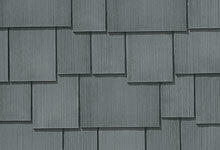 The shingles are available in 5-, 7-, and 12-inch widths and can be installed with a uniform or offset exposure to add incredible depth and dimension. 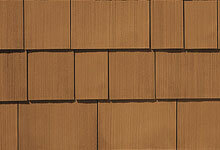 Application-friendly design; attach using a pneumatic nail gun and two corrosion-resistant roofing nails per shingle. Still prefer to hand nail? With Lamarite shingles you have that choice. You can nail them by hand using two corrosion-resistant roofing nails. 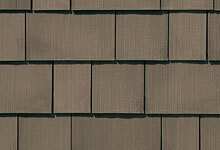 Shade variation has been designed into the production process for Lamarite Shake shingles to provide a more realistic random appearance found in nature. Our application instructions take advantage of that quality to help create the natural beauty of a shake roof and reduce the effects of fading experienced by all roofing products.